See the impact of investing in Impact Housing REIT. At Impact Housing REIT, our impact is real and tangible. We invest time and money into transforming rental apartments for low and middle-income Americans, making cost-efficient, aesthetic improvements and environmentally friendly upgrades, adding more social and outdoor areas for residents to gather and play, and providing free health, fitness and education programming for residents and their families, and free food to kids in afterschool programs. We take “blight properties” and turn them into clean, safe, supportive, and engaging communities where residents and their families can thrive. In all of our properties, especially those that are neglected, we make low-cost, high value upgrades that, on their own, provide a triple bottom line returns. We upgrade entryways, leasing offices, and common areas, and install new fixtures, appliances, and flooring within units. We also make energy efficient upgrades to lighting and create more open spaces and community gathering areas including playgrounds, clubhouses, BBQs areas and dog parks if the site allows. Through our partnership with Hapi (Healthy Apartment Property Initiative) Foundation, we feed kids in afterschool programs and offer free onsite Health and Education Programming for residents and their families. 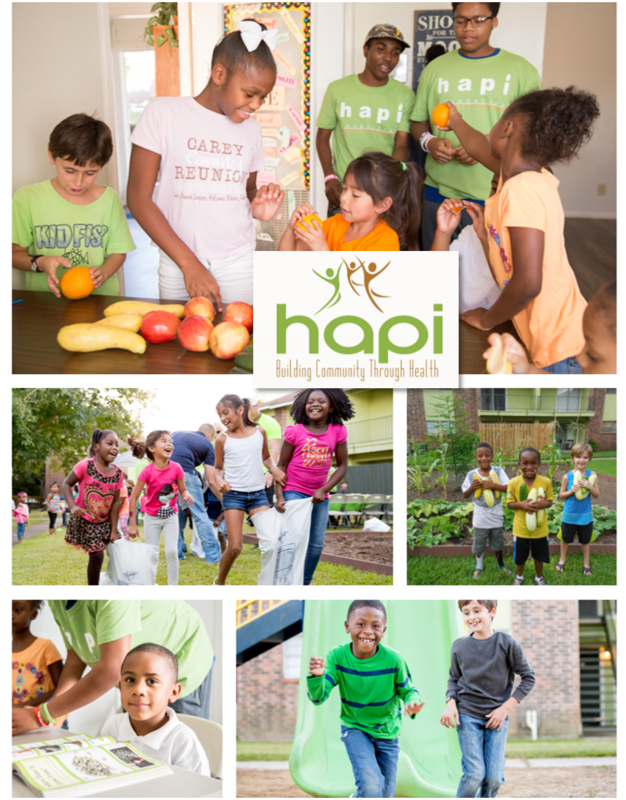 Hapi Foundation is a 501C-3 nonprofit established in 2013 that “builds community through health” by bringing health-related education, fitness, gardening, and nutrition programs directly to the doorsteps of residents living in lower income apartment communities. Hapi offers efficient, low-cost, high-reward customized programming to cater to each specific community’s needs, whether it is a senior, toddler, or school age population. Hapi’s efforts are focused on bringing neighbors together in on-site open spaces who often find themselves in park-poor communities and learning healthy lifestyle habits through its programming. Hapi’s goal is to help combat social isolation while reducing the growing rates of obesity, diabetes, and other chronic diseases in the United States.